I have created a set of limited edition ‘Giclee’ prints of my work. They are printed onto 310g Hahnemuhle German etching paper, a high quality textured printing paper. Advanced digital printing processes are able to reproduce every detail and quality of the mediums used, from charcoal, pencil and watercolour to the torn edges of collage paper. 'Towards Rye Harbour' Giclee print on Hahnemuhle paper. 'Girl with Horse', giclee print of original watercolour. 'Boy and Elephant', giclee print of original watercolour. 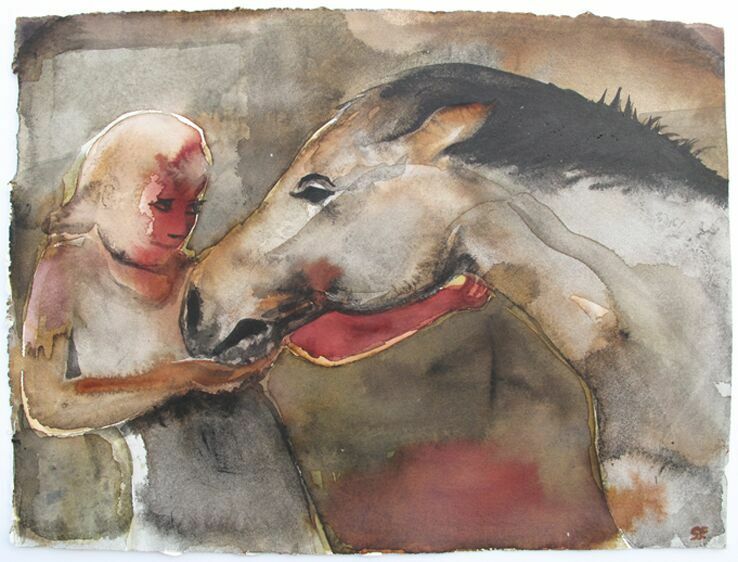 'Pony and Boy', giclee print of original watercolour. 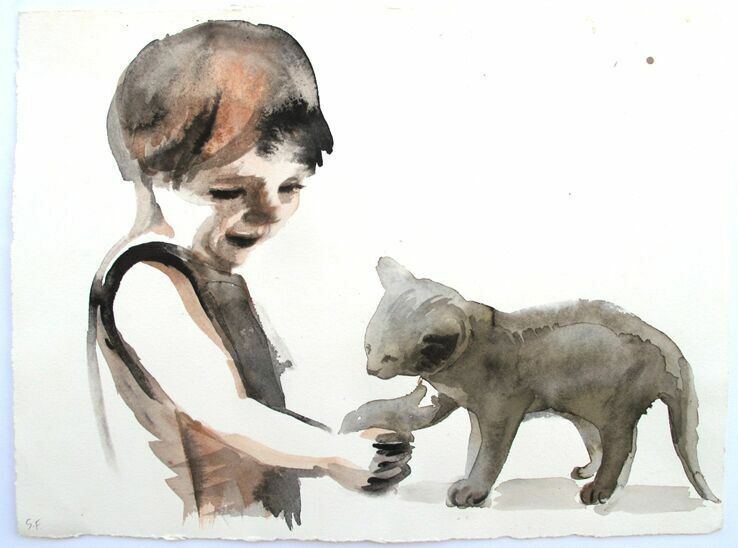 'Girl Stroking a Cat', giclee print original watercolour.